Inside: ADHD symptoms in children aren’t always what they seem. Parents will learn common misunderstandings as well as important truths that will help their child with ADHD thrive. While the term ‘fake news’ may be new, the idea of there being lots of misinformation out there surrounding mental health conditions and specifically ADHD symptoms in children is not new. People who don’t have personal or professional experience interacting with kids with ADHD love to offer up unsolicited conjecture and opinion (can someone please tell me why this is?). 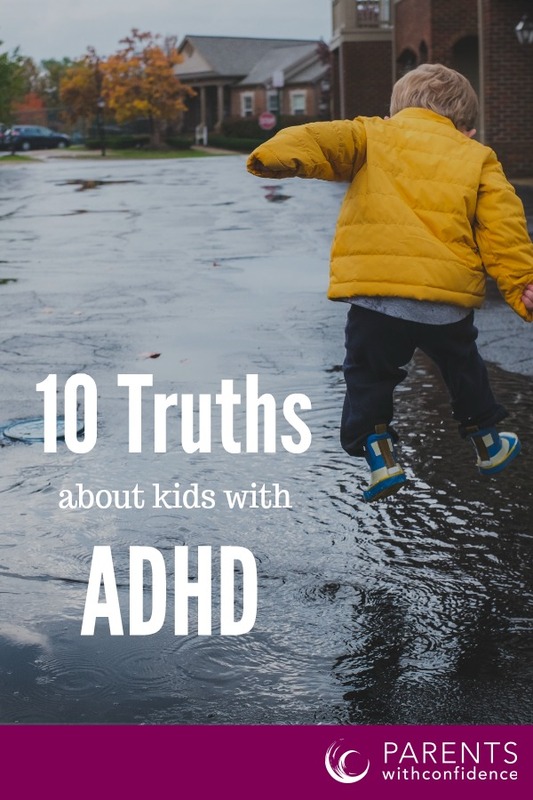 As a mom of multiple kids with ADHD and a child therapist, I’d like to offer up some information from the perspective of both professional and personal experiences as well as scientific research, that debunks many common myths around ADHD in kids. |ADHD is an excuse for poor parenting. This one is likely the biggest whopper of all. Through my work as a child therapist, I’ve had a chance to get to know many clients parenting a child with ADHD and they are some of the most concerned, dedicated and resourceful parents I know. 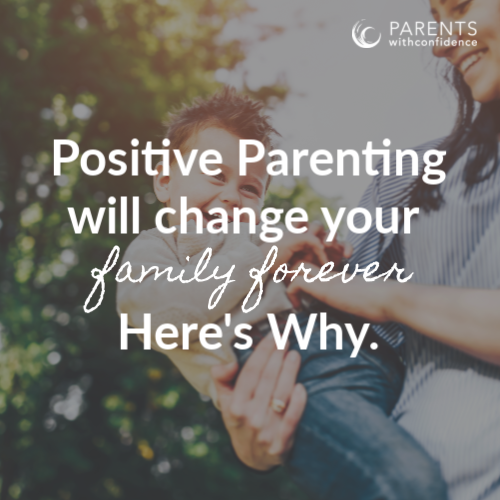 They’ve been handed an ‘outside the box’ parenting situation and often need to learn new ways of approaching discipline, limit setting and parenting in general. 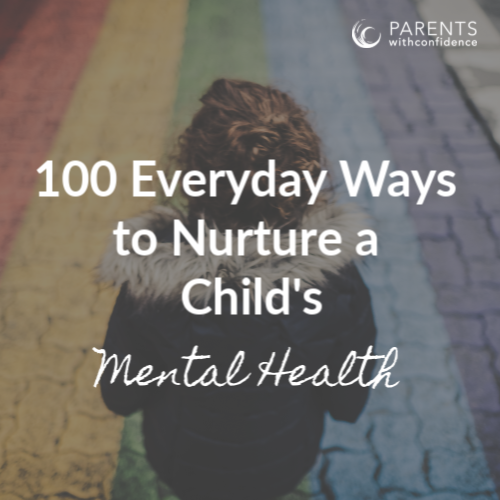 Environmental variables such as positive parenting can certainly help mitigate symptoms of ADHD, but it certainly does not account for a child’s core behaviors which result from the differences in their brain structure and function. |Kids with ADHD can’t pay attention. This misconception is completely understandable given the fact that ADHD stands for Attention Deficit Hyperactivity Disorder, but don’t always believe old (and in this case outdated) medical terminology! We know now those living with ADHD have an abundance of attention! Not only can they do their math homework, kids with ADHD can also listen to music, text and eat a snack while doing their math homework. The problem arises when they need to control and manage their attention in certain settings where personal interest may be lacking and their motivation level is low. They can also intensely focus intensely on things they love for long periods of time which is known as hyperfocus. |Kids with ADHD aren’t smart. I have to chuckle a little at this one because differently-wired kids are almost always gifted in some way shape or form (which means they excel beyond the norm). Whether it is creativity, scientific knowledge or a killer wit- there’s a reason many kids with ADHD are referred to as ‘twice exceptional”. Uniquely wired kids are often creative spirits which lends itself to amazing amounts of curiosity, exploration and excellent problem-solving skills. |Kids with ADHD are difficult to be around. I get it. I have two kids of my own that fall somewhere on the ADHD spectrum and when you combine intense emotions, impulsivity, and difficulty listening, it’s easy to become overwhelmed with an ADHD child. The game changer? When you start to see beyond a child’s behaviors you come to appreciate the amazing person they are at their core and can truly see and appreciate the awesome traits that balance out the challenging ones. My daughters are chock full of joy, energy, and humor which makes life with them extra enjoyable and entertaining. A little secret? Kids with ADHD are also my favorite client’s to see in therapy. You never know what will fly out of their mouths, but often, it’s something totally awesome, unique or insightful. |Kids with ADHD are always hyperactive. There are 3 different types of ADHD; Predominantly Inattentive, Hyperactive-Impulsive and Combined Type. Many children struggle to manage their attention and emotions but do not present with excessive talking or movement. Girls make up a slightly higher percentage of the Inattentive Type and because it’s less visible on the surface, often fall through the cracks until later in childhood. |ADHD symptoms in children is a negative thing. Being neurodiverse comes with many strengths and benefits that should be celebrated! Kids with ADHD see the world from a different perspective, giving them interesting and unique insights and perspectives. They are keen observers (noticing everything when they should be focusing on one thing! ), determined go-getters as well as energetic and hard-working. |We are all a little ‘ADHD’ sometimes. Yeah, no. While we all experience symptoms of forgetfulness, distractibility or hyperactivity once and awhile due to sleep deprivation or excessive stress, the difference is that ADHD symptoms in kids impact them consistently on a daily basis and interfere significantly with their functioning in personal, school or social settings. |There was no ADHD in kids 50 years ago! The first documented cases of ADHD in children by doctors date as far back as the 18th century. It has been called different things over time but being differently-wired is certainly not a new thing. The rates of diagnosis continue to climb due to improved awareness, more screenings by healthcare professionals and greater availability of treatment options. |The main symptom of ADHD is focus/inattention. What many well-intentioned resources (including the current Diagnostic and Statistical Manual used by doctors and therapists) fail to acknowledge, is that when it comes to ADHD symptoms in children not only are there challenges in the regulation of attention, but one of the most challenging aspects lies in the difficulty they have regulating their emotions. 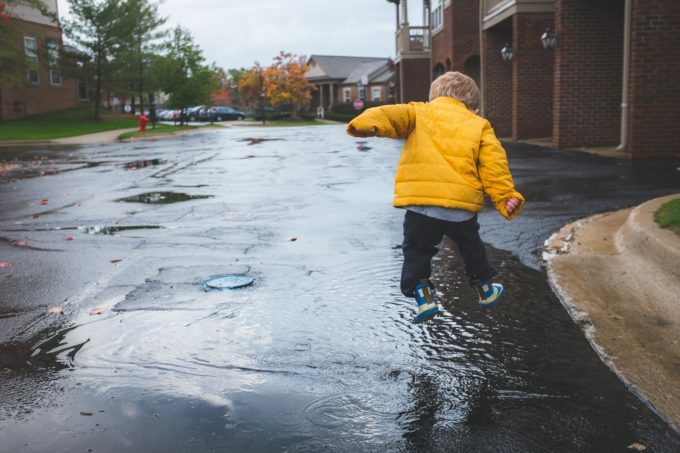 At its core, ADHD is a regulatory disorder, meaning a child will struggle to regulate a variety of functions such as emotions, thoughts, and behaviors in addition to attention. |A child with ADHD has less potential. Thankfully we live in a time where awareness of ADHD and mental health conditions is increasing. Thanks to many outspoken advocates such as multi-gold medalist Micheal Phelps, Olympic gymnast Simone Biles, and Captain Underpants author Dave Pilkey, differently-wired kids know that major potential for greatness lies within. 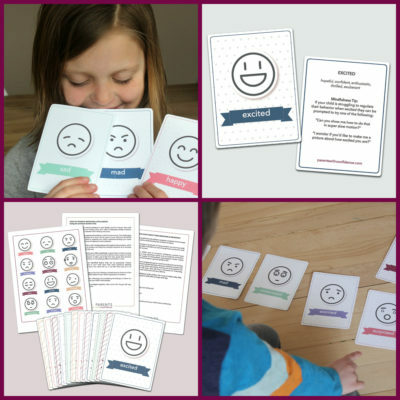 When it comes to how to help a child with ADHD awareness, education, and support around the way their unique brain works will allow them to harness their vast strengths and learn how to cope and problem-solve through challenges. The truth is, kids with ADHD are uniquely-wired and have endless potential in a world that is only beginning to acknowledge and appreciate their gifts. When we stick to the facts and evidenced-based best practices when it comes to helping with ADHD symptoms in children, we’ll be giving our kids the best possible chance of reaching their full potential, leading them to a future of endless possibility. P.S. 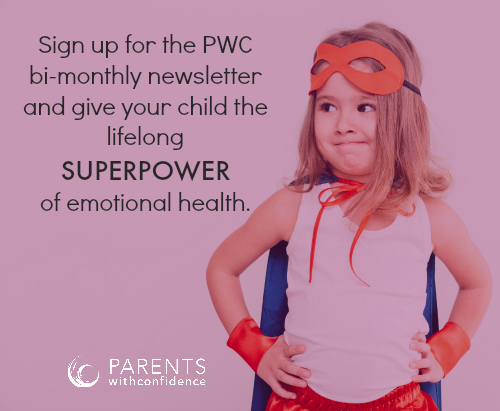 Your child’s future called, it wants you to invest in your child’s emotional well-being! and learn how to give your child the real life skills they won’t learn at school. Dig in to the resources here. This is awesome and I wish more people would try to better understand ADHD. My son is a handful at times but I wouldn’t change him for anything. I try to have him embrace his ADHD as we work together to find ways to deal with his emotions. Thank you sharing this. Sometimes I feel so alone with this as I do t know many other parents who have kids with ADHD. Thank you for sharing. I have a 7 year old son who is twice exceptional. He is like a human calculator. Unfortunately, ADHD was the only thing we saw for a long time. Regulating his emotions and dealing with explosive emotions was so trying, confusing, and exhausting for the longest time. I would love to hear how you handle those types of situations and if medicine is something that you feel is useful for your own children. I am really struggling in getting my son’s teachers to understand and be more patient with him. I hate that they depend on medication and I don’t want to depend on that anymore. My son is amazing, but I know he struggle with impulse and emotion control. This is so insightful and I can’t wait to get the weekly newsletters.